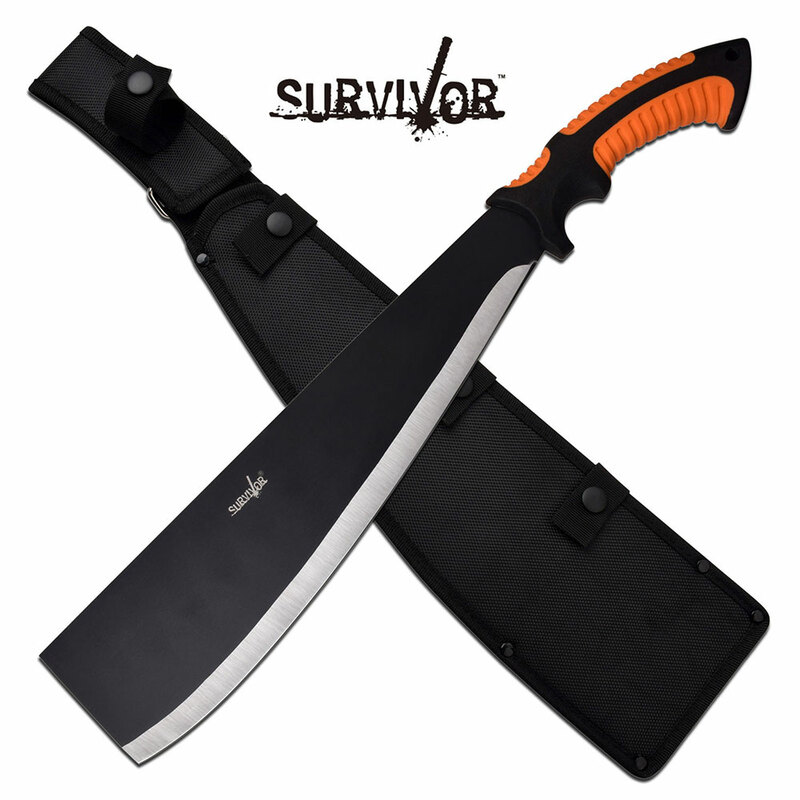 Outdoor survival massive 20 inch machete knife is a must have for your outdoor camping survival needs. 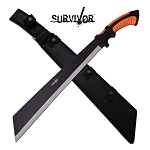 Outdoor survival massive 20 inch machete knife is a must have for your outdoor camping survival needs. Machete has a 14 inch steel blade made of 3cr13 with 6 handle length made from injection molded nylon fiber with rubber over mold. Nylon sheath is included with the knife.